Synopsis: A fading comedian and a suicidally despondent ballet dancer must look to each other to find meaning and hope in their lives. Did You Know? 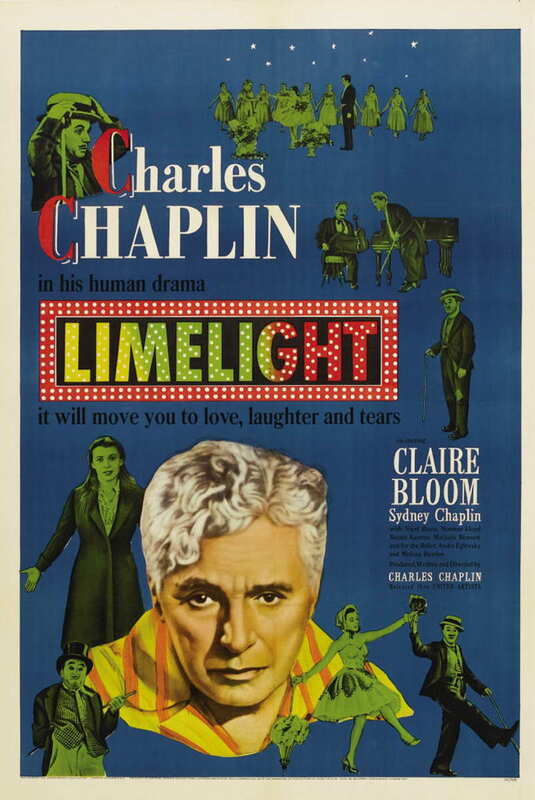 Limelight was released in 1952, but it didn’t debut in Los Angeles until 1972. Due to Academy rules at the time, this made the film eligible for a nomination at the 45th Oscar ceremony in 1973, ultimately sparking a change in Academy regulations on release and eligibility. This means that, to this date, it is the only film to receive an Oscar 20 years after its initial release. Quotables: CALVERO: That’s all any of us are: amateurs. We don’t live long enough to be anything else. This film resonated with me on a very personal level. Calvero and Thereza emerge into each other’s lives at the moment when they need each other most. Calvero is a comedian on the down-slope of his stardom. Thereza has just attempted suicide after failing as a dancer. A bond is forged between them, and they help each other regain their confidence to return to the stage. I’ve had my share of doubts and self-consciousness as an actor, but I’ve always had my fellow actors to boost me back up.